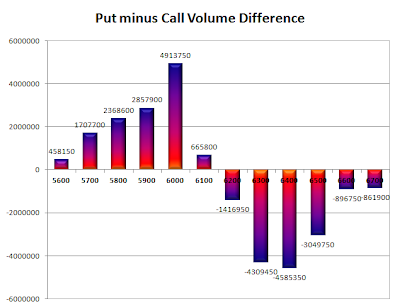 Nifty opened positive just above 6100 and saw huge buying from the onset to move above 6160 within the first few minutes of trade. The index stayed within a narrow range from thereon to close near the highs at 6176.10, a huge gain of 84.25 points. On a week on week basis the index gained 180.65 points or approx 3.01%. 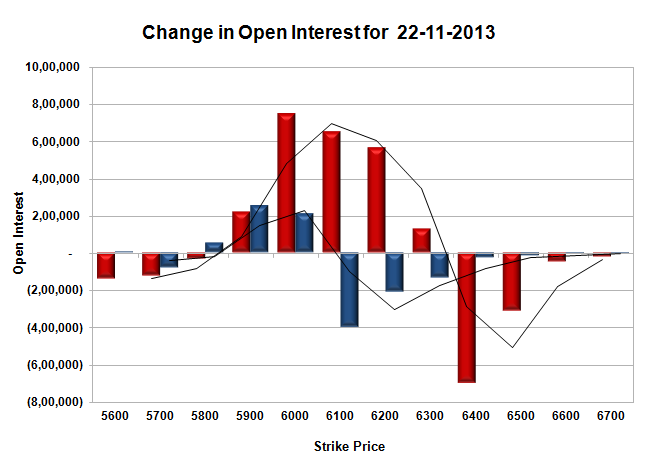 The broader market was also strong, with 895 advances to 472 declines. 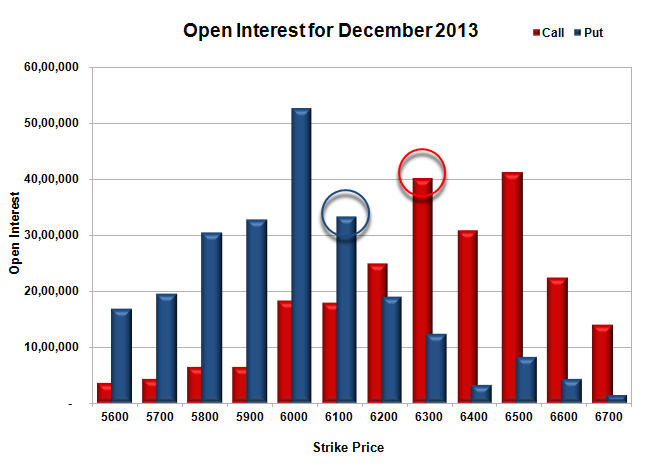 Best support for December Series is right now placed at 6000. 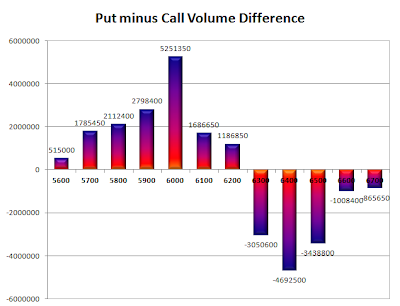 Call option 6200-6700 added 21.28 lacs huge amount of OI with small short covering seen at 6000 and lower strike prices. 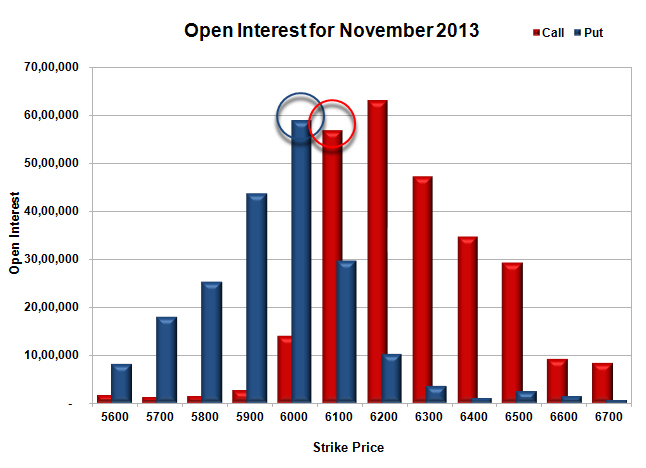 Put option 6300-5600 added 27.28 lacs huge amount of OI with small short covering seen at 6500 strike price. 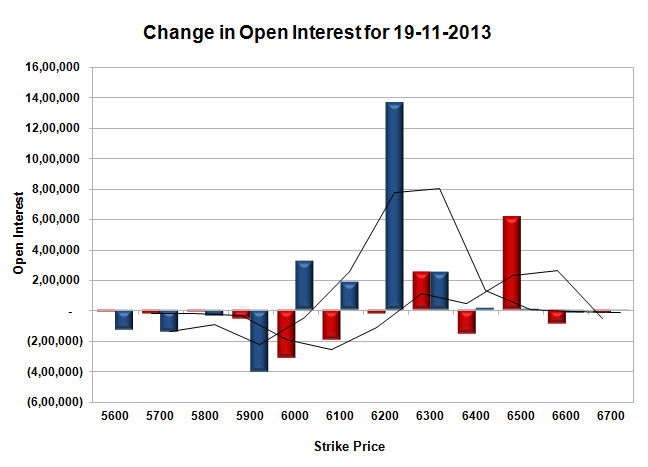 Nifty Open Interest is at 1,81,77,100 up by 8,71,000, with increase in price, mostly long build-up. 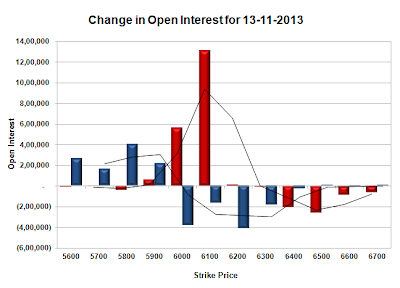 Bank Nifty Open Interest is at 15,17,775 up by 1,45,200, with increase in price, mostly long build-up. FII’s bought huge 8.91 lacs Futures, mostly long build-up, as their net OI increased by 24577 contracts (includes 67070 longs and 49245 shorts for the day) and the average price per contract comes to around 6169.14. 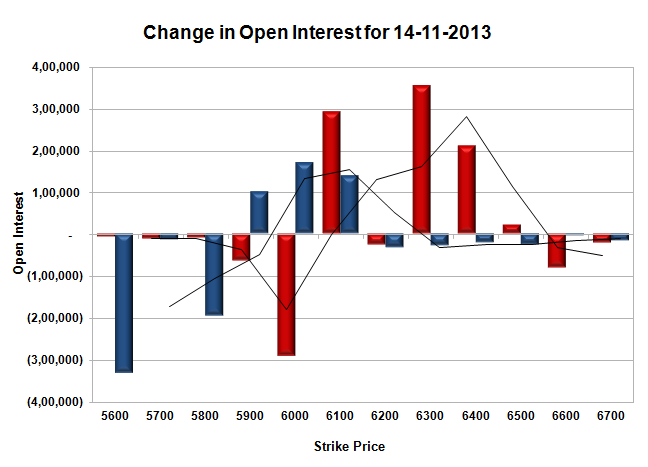 FII’s future open contract as on date is 413475. 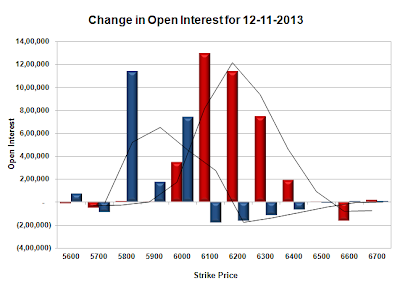 PCR Open Interest (Volume) is moving up and now at 1.162. 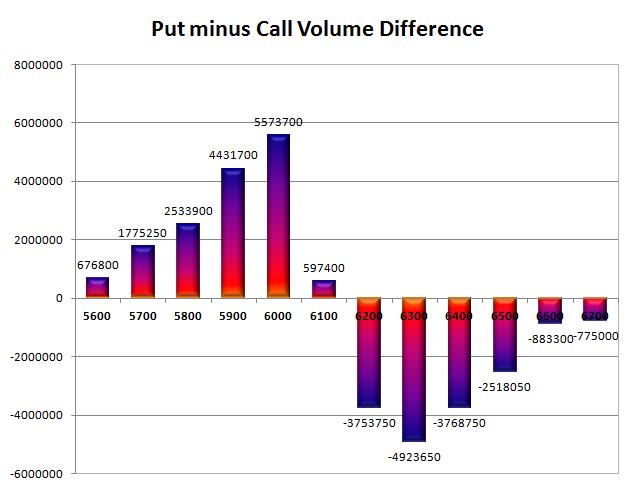 Initial support getting better at 6100, with huge addition for the day at 6.82 lacs and below that at 6000 with highest OI of 52.73 lacs. 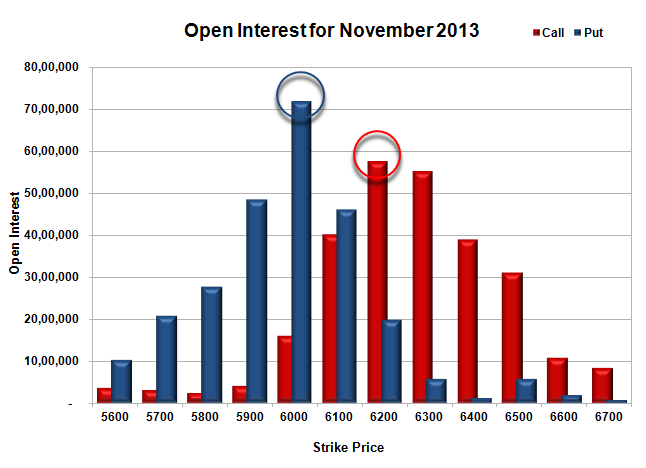 Initial resistance right now at 6300, with OI of 40.20 lacs and above that at 6400, with OI of 30.83 lacs. Day Range as per Option Table is 6100 - 6224 and as per VIX is 6107 - 6245 with 6154 as the Pivot. 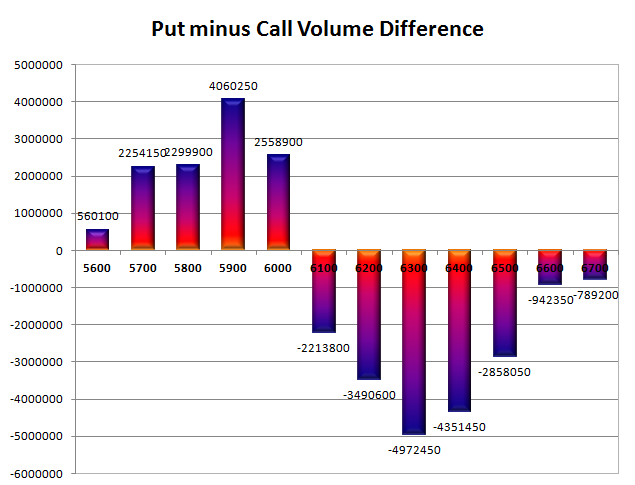 Nifty opened flat and oscillated within a narrow range of 32 points for the entire day and closed just positive at 6203.35, a small gain of 14.35 points. 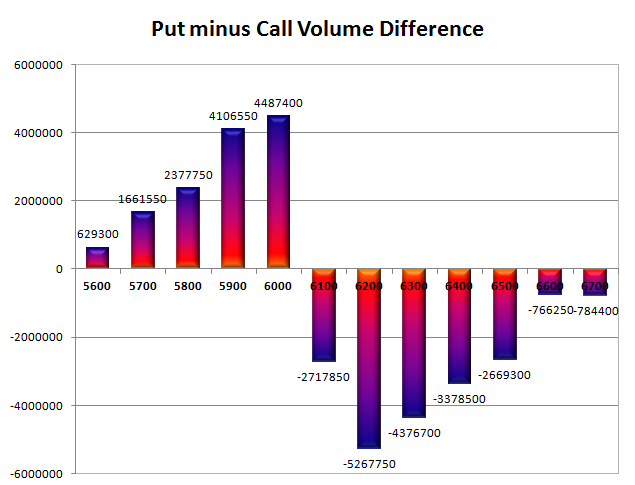 The broader market was just positive, with 694 advances to 678 declines. Best support at 6000 level. 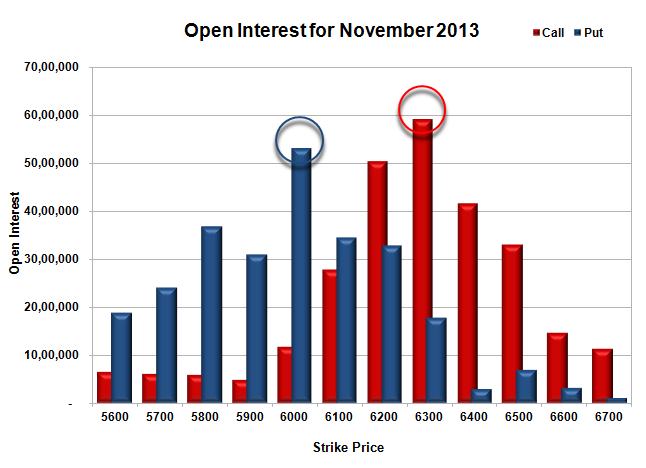 Call option 6300, 6500 added 8.73 lacs huge amount of OI with short covering seen at 6200 and lower strike prices. 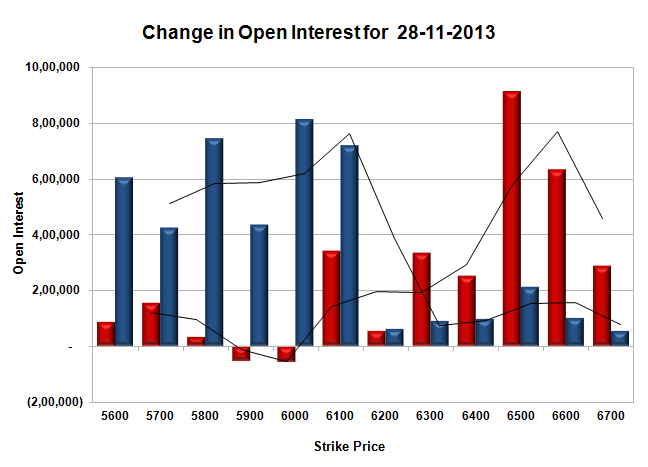 Put option 6300-6000 added 21.26 lacs huge amount of OI with profit booking seen at 5900 and lower strike prices. 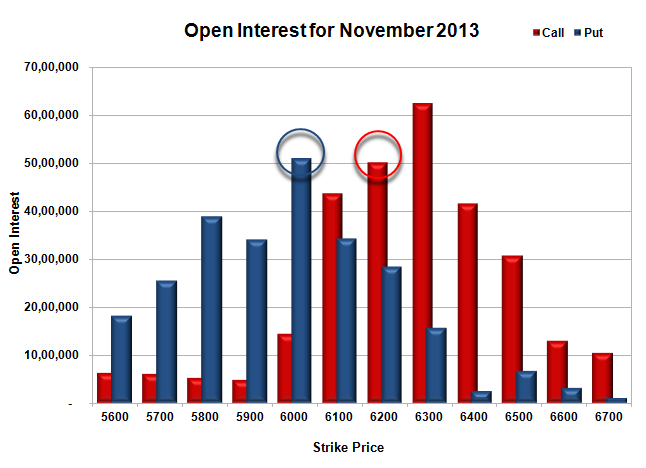 Nifty Open Interest is at 1,77,98,550 up by 2,05,400, with increase in price, most probably long build-up. 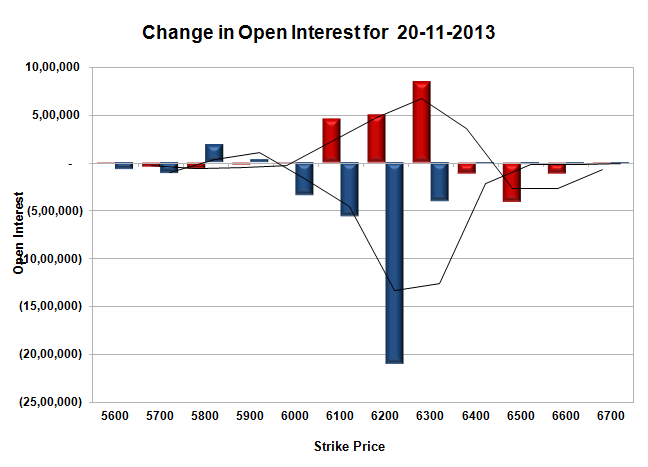 Bank Nifty Open Interest is at 16,40,200 up by 3,900, with increase in price, most probably small long build-up. 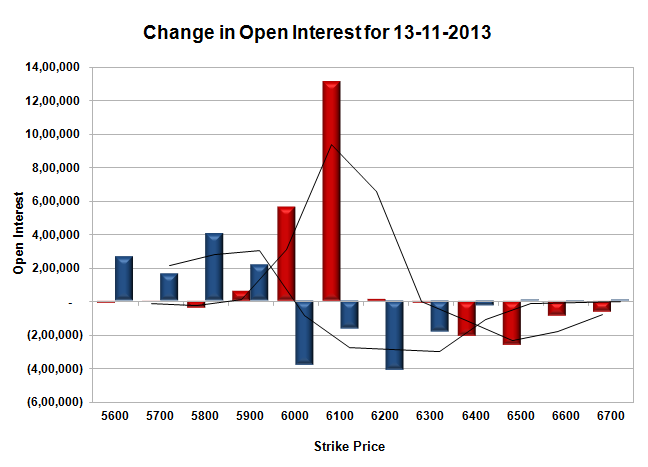 FII’s bought huge 1.15 lacs Futures, mostly long build-up, as their net OI increased by 18512 contracts (includes 43430 longs and 41132 shorts for the day) and the average price per contract comes to around 6171.37. FII’s future open contract as on date is 487890. Initial support now at 6200, with huge addition for the day at 13.61 lacs and below that at 6100 with OI of 46.69 lacs. 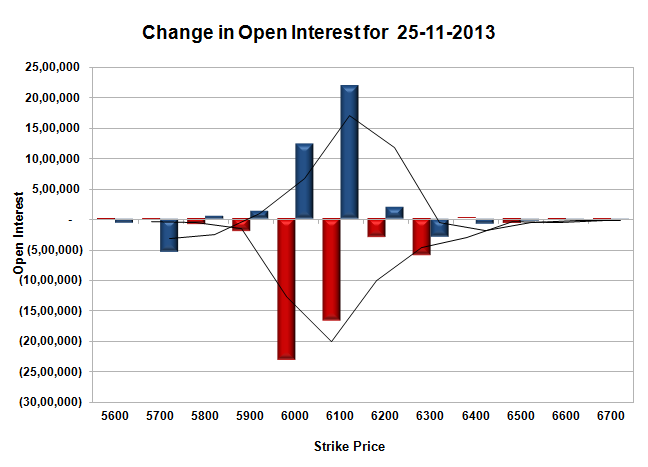 Initial resistance still at 6300, with OI of 51.47 lacs and above that at 6400, with OI of 49.47 lacs. Day Range as per Option Table is 6139 - 6262 and as per VIX is 6141 - 6266 with 6199 as the Pivot. 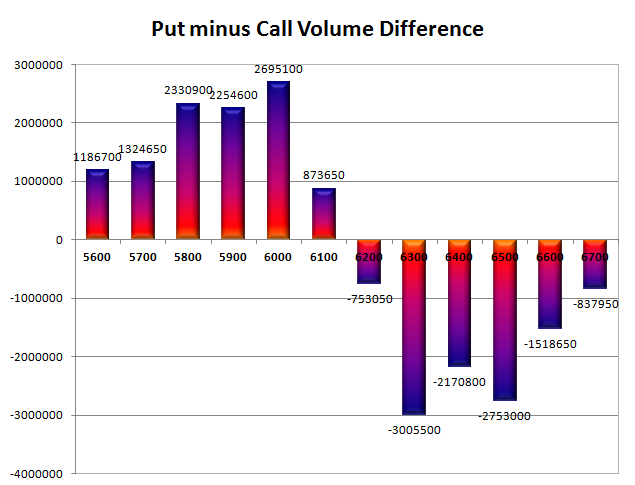 Nifty again opened huge gap-up and stayed up making new highs with each passing hour to end the day nears the highs at 6189.00, a huge gain of 132.85 points. 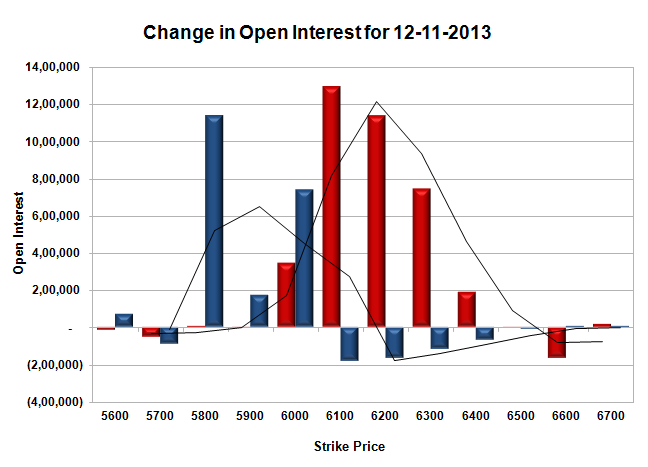 The broader market was also strong, with 862 advances to 512 declines. 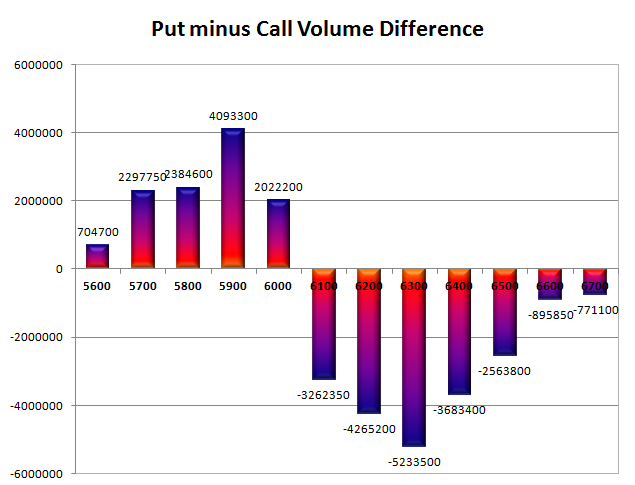 Best support back again at 6000 level. 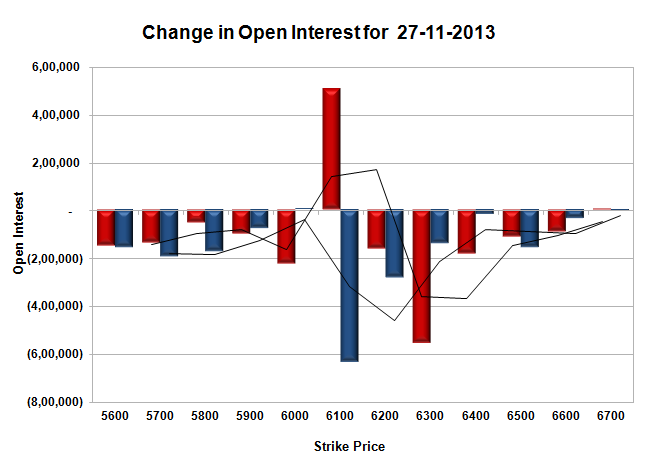 Call option 6400-6600 added 14.39 lacs huge amount of OI with short covering seen at 6200 and lower strike prices. 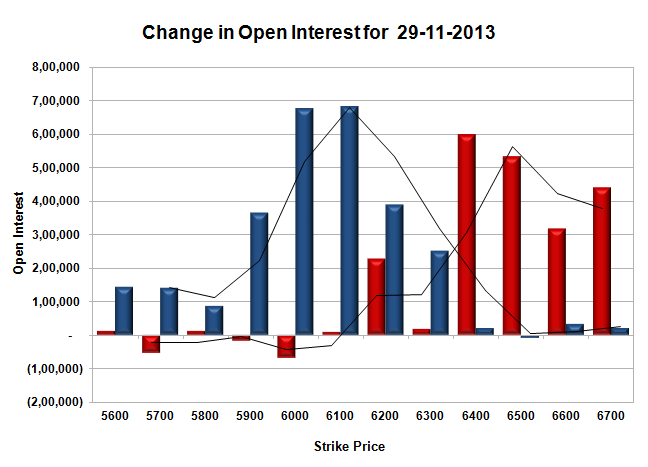 Put option 6300-5900 added 32.19 lacs huge amount of OI with profit booking seen at 5800 and lower strike prices. 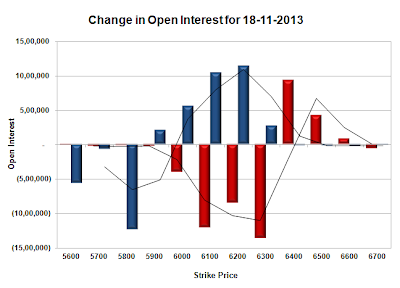 Nifty Open Interest is at 1,75,93,150 down by 3,94,950, with increase in price, most probably huge short covering. 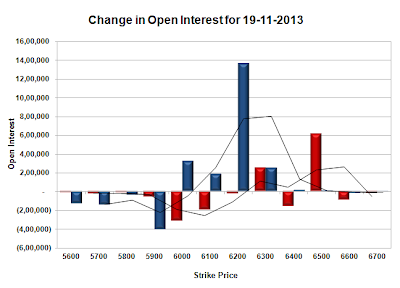 Bank Nifty Open Interest is at 16,36,300 up by 51,275, with increase in price, most probably huge long build-up. 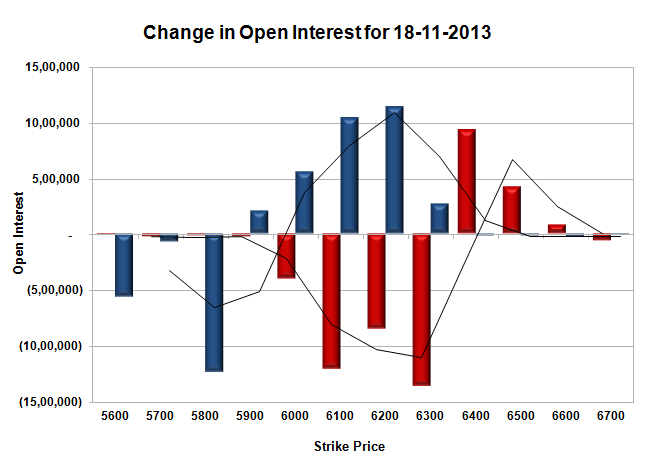 FII’s bought huge 5.44 lacs Futures, mostly long build-up, as their net OI increased by 1964 contracts (includes 82114 longs and 71238 shorts for the day) and the average price per contract comes to around 6153.00. FII’s future open contract as on date is 469378. 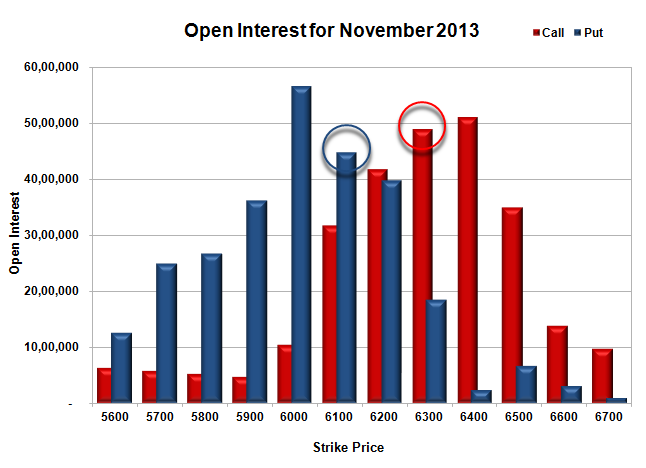 PCR Open Interest (Volume) is back above 1 at 1.100. 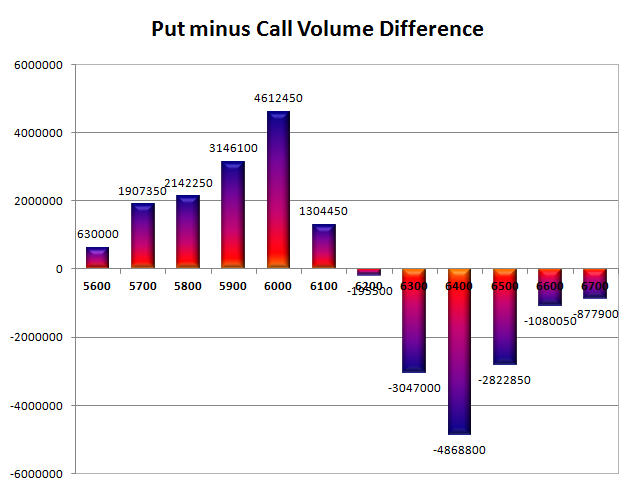 Initial support back at 6100, with huge addition for the day at 10.45 lacs and below that at 6000 with highest OI of 56.56 lacs. 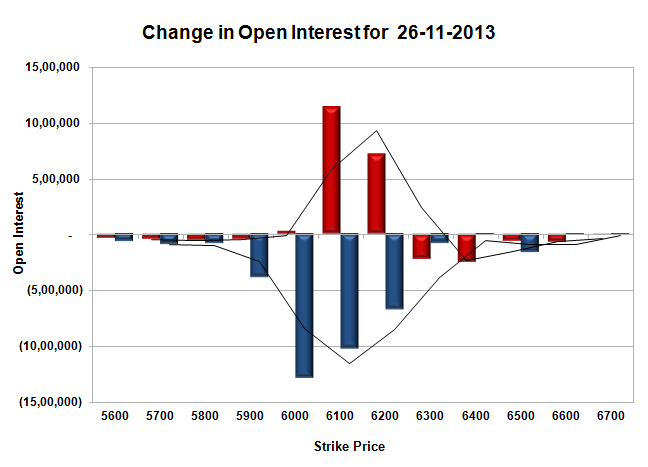 Initial resistance now at 6300, with OI of 48.91 lacs and above that at 6400, with OI of 51.05 lacs. Day Range as per Option Table is 6105 - 6238 and as per VIX is 6128 - 6250 with 6165 as the Pivot. 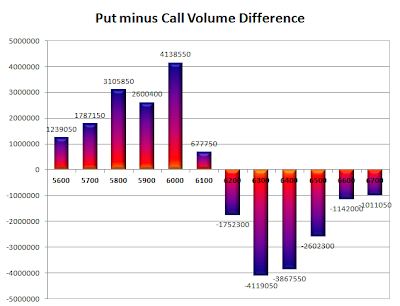 Nifty opened negative, but saw a brief move towards the highs of the day around 6040 to be sold to the lows of the day around 5972, but closed just above at 5989.60, still a loss of 28.45 points. The broader market was also weak, with 463 advances to 861 declines. Resistance for the series has come down to 6200 level. 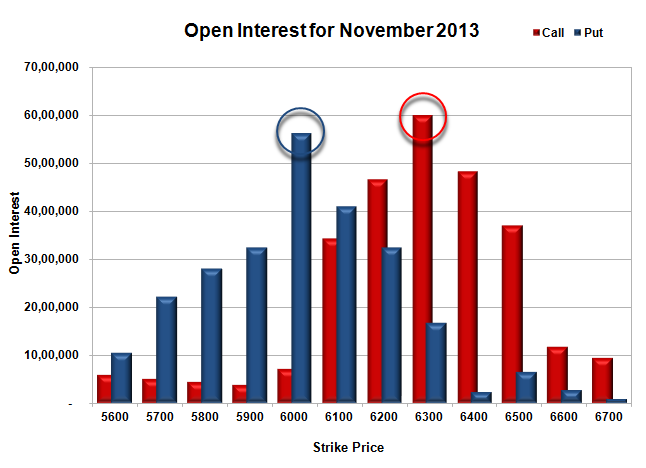 Call option 5900-6200 added 19.51 lacs huge amount of OI with profit booking seen at 6400 and above strike prices. 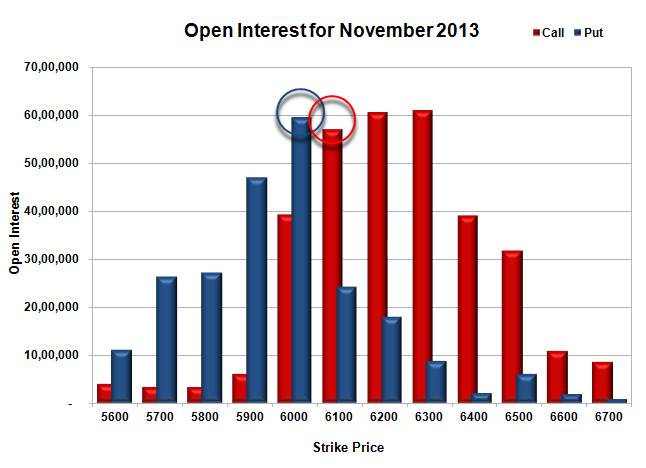 Put option 5900-5600 added 10.48 lacs huge amount of OI with short covering seen at 6000 and above strike prices. 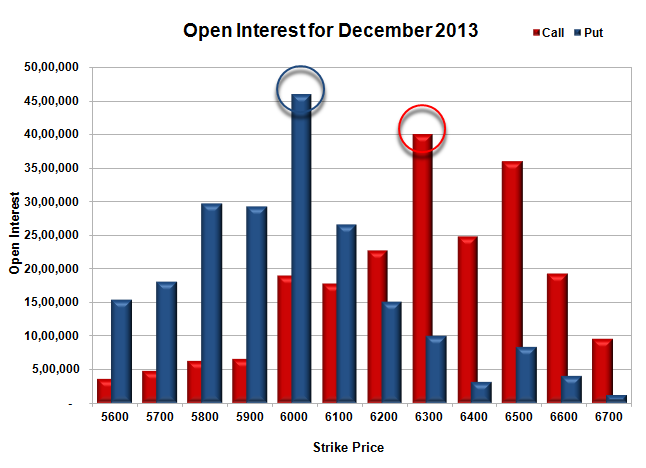 Nifty Open Interest is at 1,89,22,450 down by 6,30,450, with decrease in price, most probably huge long liquidation. 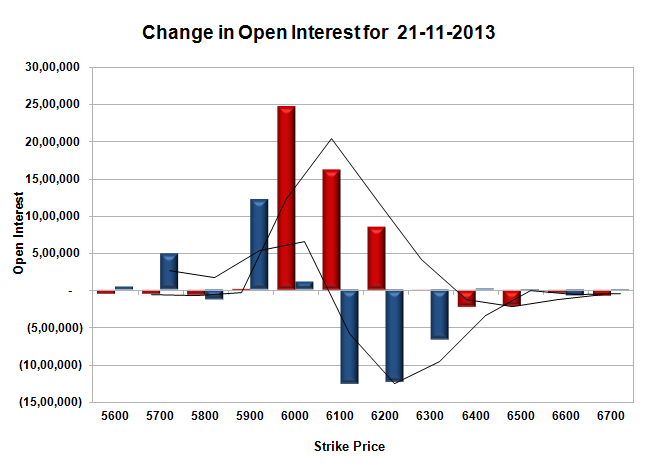 Bank Nifty Open Interest is at 17,62,275 up by 37,400, with decrease in price, most probably short build-up. 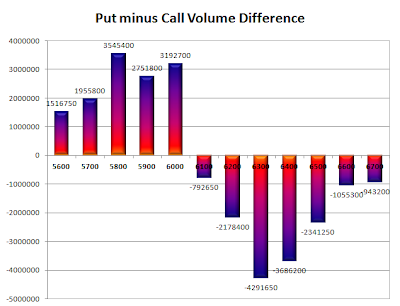 FII’s sold huge 2.57 lacs Futures, mostly long liquidation, as their net OI decreased by 11113 contracts (includes 83434 longs and 88579 shorts for the day) and the average price per contract comes to around 5955.15. 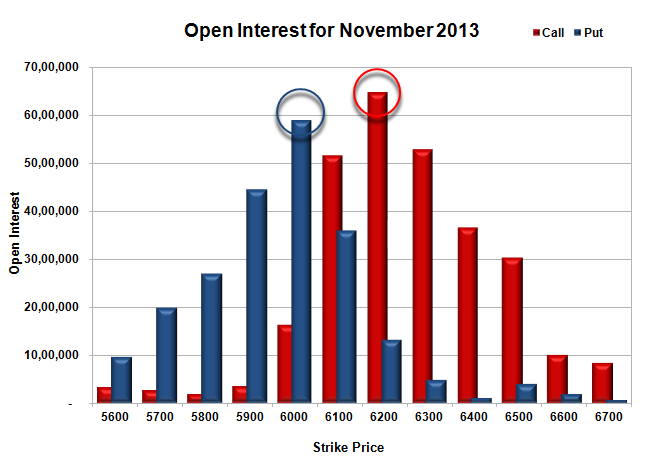 FII’s future open contract as on date is 477611. 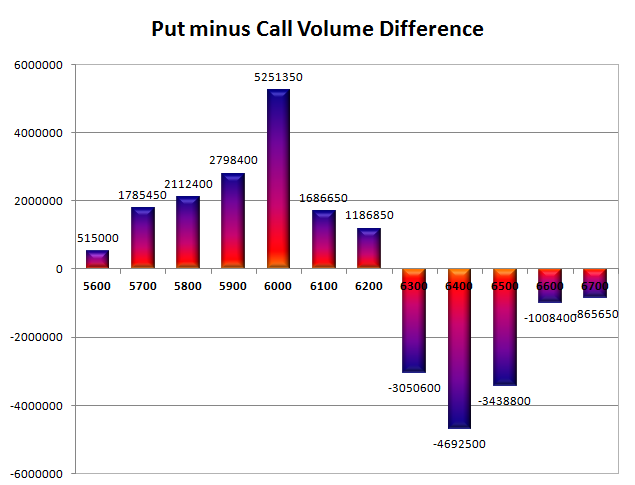 PCR Open Interest (Volume) for the first time in this series below 1 at 0.993. 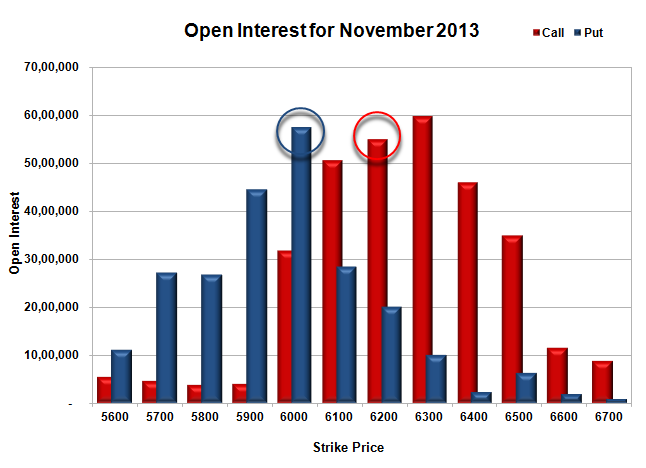 Best support still at 6000, with huge OI of 49.28 lacs and below that at 5900 with OI of just 33.13 lacs. Initial resistance at 6100, with OI now above 40.87 lacs and above that at 6200, with OI of 50.51 lacs. 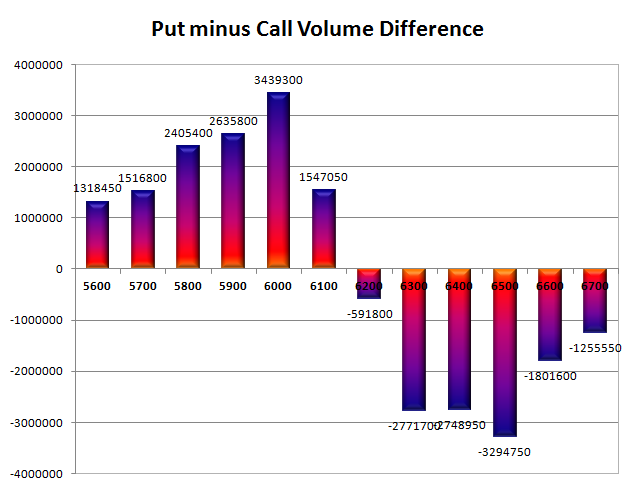 Day Range as per Option Table is 5943 - 6062 and as per VIX is 5925 - 6054 with 6001 as the Pivot.